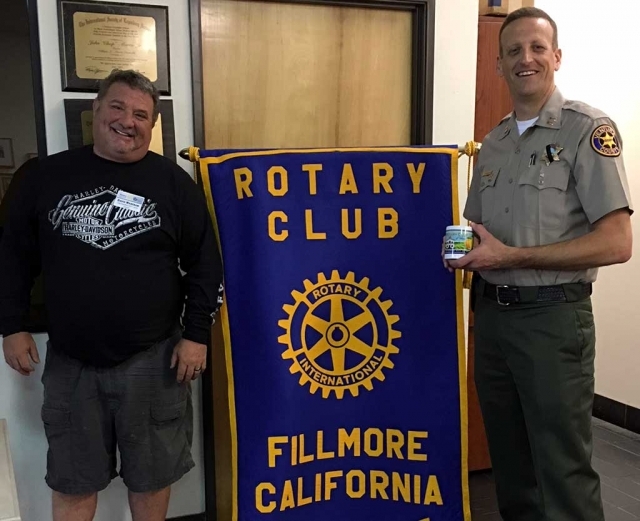 Rotary President Dave Wareham presents a mug to new Fillmore Police Chief Eric Tennessen for introducing himself to the Rotary Club as well as shared about his plans as the new Chief. 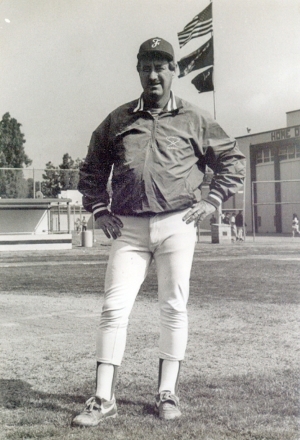 Tennessen grew up in South Dakota and has lived in California 21 years. He has worked for the Sheriffs Department for 20 years. He is committed to getting involved in Fillmore and meeting the people. Photo Courtesy Martha Richardson. 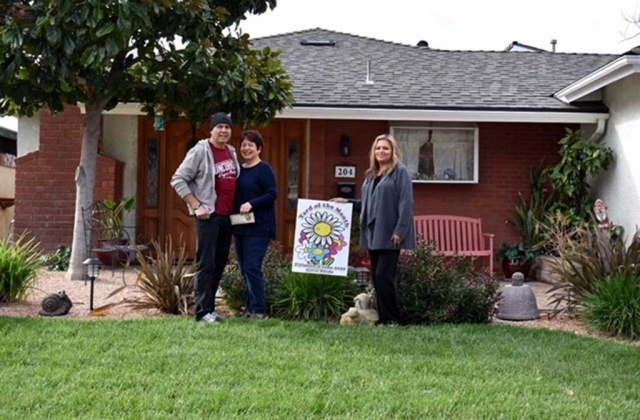 (l-r) Robert & Griselda Guerrero and Ari Larson from Civic Pride presenting the Guerrero family with their gift certificate from Otto & Sons Nursery. Photo courtesy Miranda Alonzo. 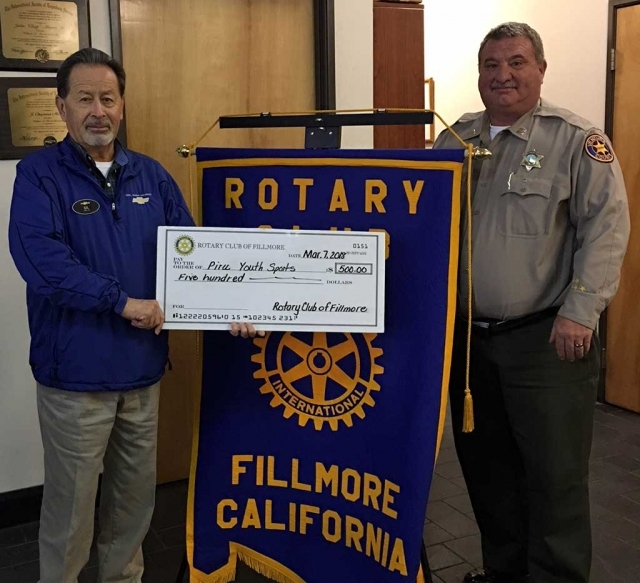 Pictured left is Gilbert Escoto who has been instrumental in establishing Piru Youth Sports, accepting a $500 check for the program from Fillmore Rotary Club president Dave Wareham. Photo Courtesy Martha Richardson. 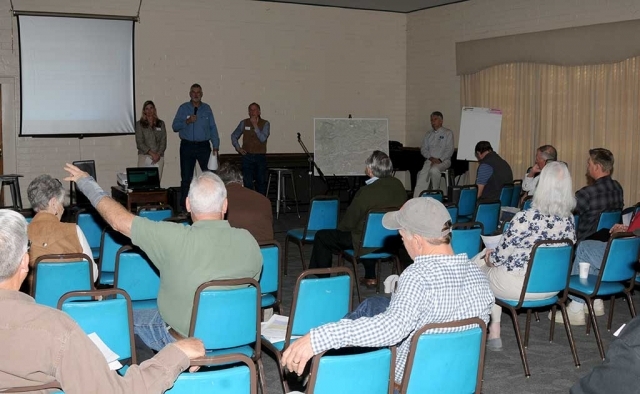 Friday, March 16th from 9:00am – 11:00am at the Veterans Memorial Building the Fillmore and Piru Basins Groundwater Sustainability Agency (FPB GSA) hosted a public workshop for the community. The workshop discussed the FPB GSA Boundary Modifications and 2018 Budget Review as well as allowed for questions and comments to be heard from the community. 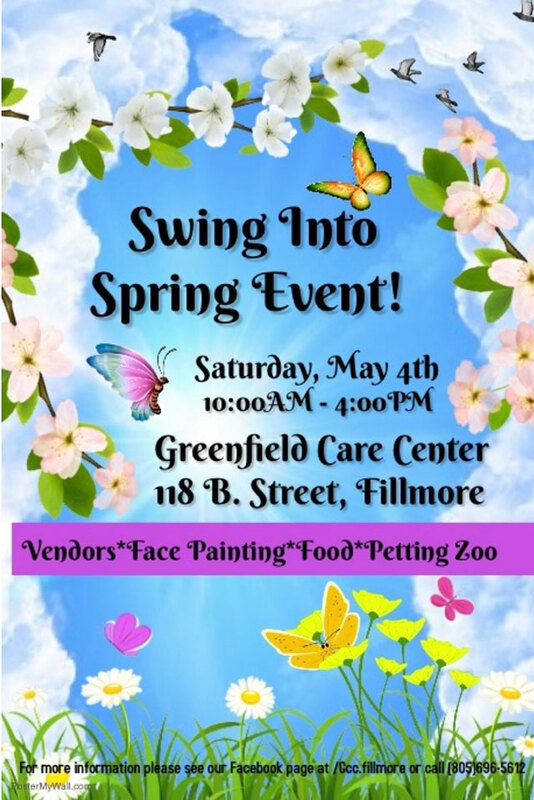 What Is the Fillmore Flower Show? Since 1919, the people in Fillmore have been displaying flowers and plants from their gardens. There were years when there wasn’t a flower show. But then, civic minded people would be willing to do the work to again bring back the show. At the Fillmore Flower Show, you can bring cut flower stems of your most beautiful blooms. You can arrange a variety of flowers into a large or very small arrangement. Or, if you have particularly lovely blossoms in one type of flower, bring a bouquet. Maybe it is a potted plant you have lovingly nurtured or a dish garden that you think others in the community will enjoy seeing. All are welcome. Maybe you don’t have flowers and plants you want to display. Come to the Flower Show anyway! There is live music playing during the public viewing times. Many people who enter the show know A LOT about flowers. They love to share their knowledge with you. 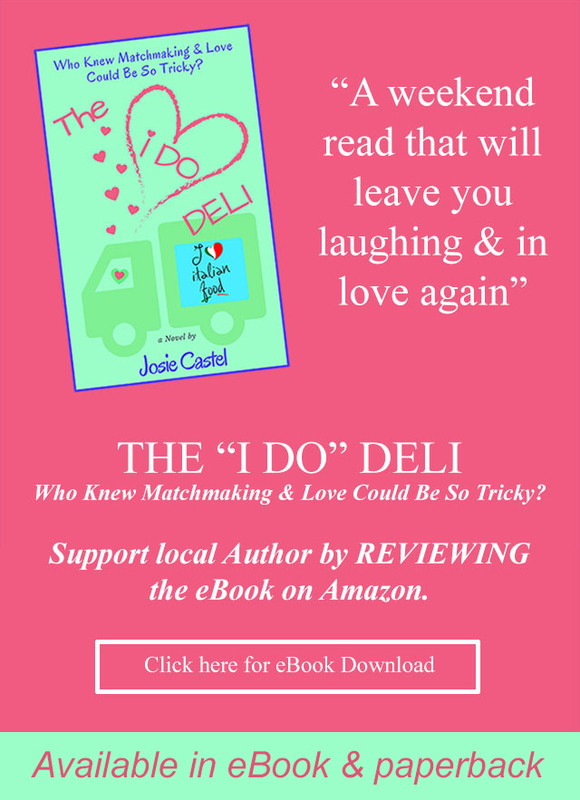 Ask what plants grow well in the shade, what flowers bloom best in Fillmore, when do I feed my flowers, what plants attract birds and butterflies? There is a plant boutique where you can pick up some inexpensive cuttings. As you walk through the rows of flowers, you may see a flower you would like to add to your garden. Someone should be able to tell you the name of the flower. Every year it is amazing to see how many different shades of roses decorate the world. This year the Flower Show is April 14th and 15th at the Active Adult Center on Santa Clara Street. 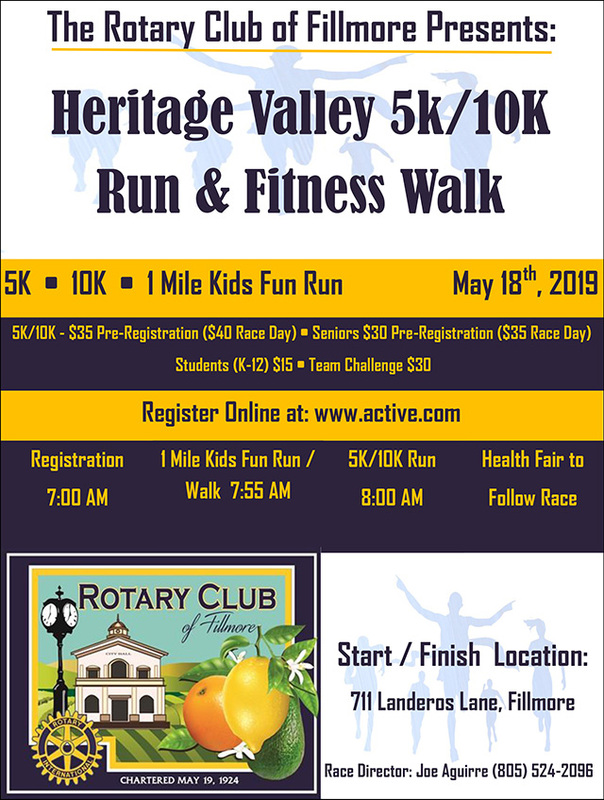 Bring your entries to the Center between 7:30 and 10 AM Saturday morning (the 14th). There is a $5 entry fee for each adult exhibitor no matter how many entries. All youth entries are free. Youth categories are: Arrangements, Composition and Art. Next week there will be more information for youth exhibitors. On Saturday, April 14, Congresswoman Julia Brownley (D-Westlake Village) will host a Passport Fair for Ventura County residents to make sure their passports are up to date for the summer travel season. Staff from the Los Angeles Passport Agency will be on hand to renew old passports and process first-time applications at the Passport Fair, which will take place from 10 a.m. to 2 p.m. at Oxnard Family Circle, located at 2100 Outlet Center Drive, Oxnard, CA 93036. Representatives from Brownley’s district office have urged anyone interested in attending to bring passport photos and proper documentation. They will also be at the Passport Fair to answer any questions. For more details, call Brownley’s district office at (805) 379-1779 or visit JuliaBrownley.House.gov/Events. 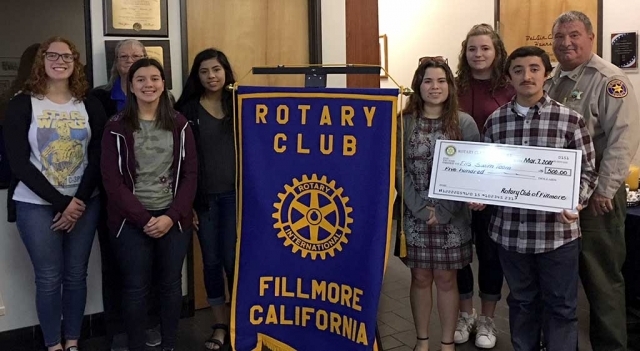 Fillmore Rotary Club donated $500 to the Fillmore High School Swim Team. Pictured are six team members along with their coach Cindy Blatt, accepting the donation from Rotary President Dave Wareham. Photo courtesy Martha Richardson. Catastrophic: The St. Francis Dam Disaster, a video created by the Fillmore High School and Middle School video classes, will be premiered on March 17 at 1 pm at the Santa Clara River Valley Railroad Historical Society Visitor Center, 455 Main St. Fillmore. The video tells the story of the flood through the words of survivors and their descendants. The guest speaker will be Dr. Paul Cisarik, a weight-loss expert who is certified with the American Board of Obesity Medicine. Dr. Cisarik will discuss various treatment options, including behavior modification, weight-loss programs, pharmacologic therapy and bariatric surgery. Obesity is a common and serious health issue affecting millions of Americans. Over a third of adults in the United States are obese, according to the Centers for Disease Control and Prevention, which also notes that obesity leads to serious and potentially life-threatening health conditions including heart disease, stroke, type 2 diabetes and certain types of cancer. Dr. Cisarik received his medical degree from St. George’s University School of Medicine, completed his residency at MetroHealth Medical Center and earned his master’s degree in nutrition from Case Western Reserve University. His specialties include medically supervised weight loss, management of medical and nutritional issues before bariatric surgery, and long-term care after bariatric surgery. He is a diplomate of the American Board of Internal Medicine and the American Board of Obesity Medicine. Dr. Cisarik is an active member of the Community Memorial Hospital medical staff. 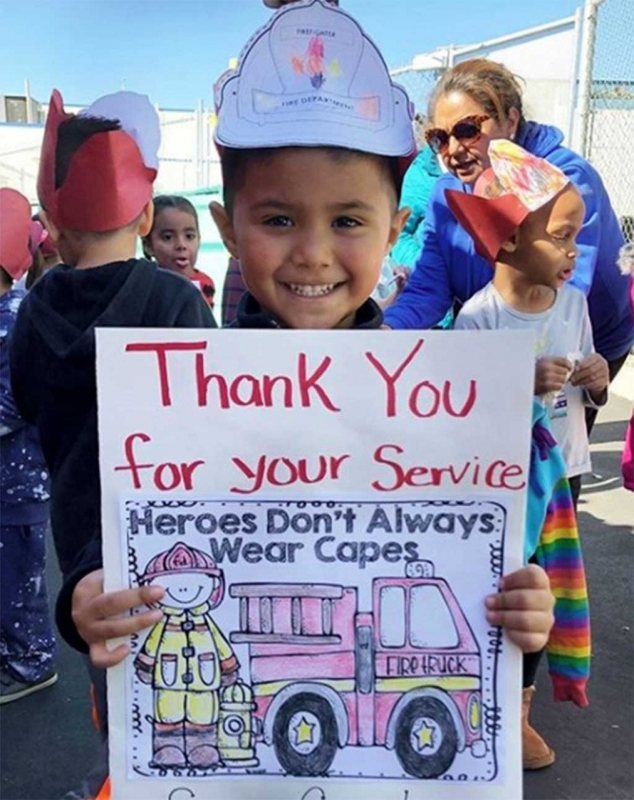 The April 11 seminar will begin at 6 p.m. at the Courtyard by Marriott in Oxnard, 600 E. Esplanade Drive. Registration is free but reservations are required. For reservations, visit www.cmhshealth.org/rsvp or call Brown Paper Tickets at 800-838-3006. Community Memorial Health System is a not-for-profit health system, which is comprised of Community Memorial Hospital, Ojai Valley Community Hospital, along with the Centers for Family Health serving various communities within and located in Ventura County, California. 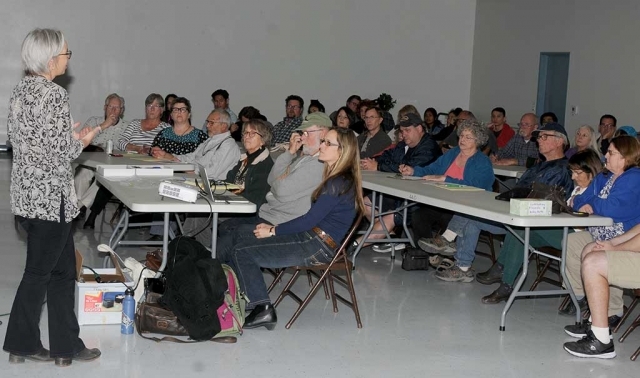 On Tuesday, March 6th from 6:30pm – 8:30pm Fillmore community members gathered at the Active Adult Center for the “Protect Fillmore’s Water Letter Writing Party & Informational Meeting.” Attendees were able to submit comments opposing the expansion of oil waste injection into the Sespe oil field (fracking). They wrote letters expressing their concerns and were able to learn more about the expansion as well as what they can do to help to oppose the expansion. March 3, Santa Clara Riverbed Hike - A St. Francis Am Disaster Commemoration Month Event. Please join us on March 3, at 10:00 AM for a Santa Clara River bed hike on The Nature Conservancy Hanson property near Santa Paula. It will be led by TNC hike leader, Amy Davis. She will talk with the participants about the St Francis Dam disaster's impact on the river channel, scouring, and sediment load, as well as TNC’s restoration efforts at the Hanson site and their impact on the Santa Clara and future flooding. The address to meet at is 1368 Mission Rock Road. At the end of Mission Rock road there is a yellow farm gate with a TNC sign, people can park next to that gate and Amy will meet hikers there and guide them into the property. The hike will start from there at 10am. Please let your hiking and history friends know. After the hike, take time for lunch at one of Santa Paula's unique restaurants and visit their museum. The Oil Museum will have a dam related exhibit opening that day. A complete list of The March 2018 St. Francis Dam Disaster Commemoration Month Activities can be found at SAINTFRANCISDAM.com. The Heritage Valley Tourism Bureau thanks The Nature Conservancy for their willingness to host this event and for all they are doing to preserve the Santa Clara River Valley. Fillmore Rotary Recognize Member Sean Morris. 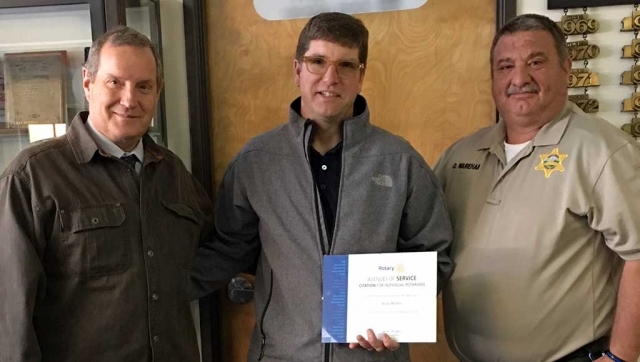 Kyle Wilson (left) pictured with Dave Wareham (right) presenting Sean Morris the “Avenues of Service Citation Award.” Sean was recognized as being an outstanding Rotary member in Club Service, Vocational Service, Community Service, International Service and Youth Service. Sean is a fine example to the all club members. Photo courtesy Martha Richardson. Rotary Club Learns about Roan Mills Bakery. Andrea Crawford from Roan Mills Bakery, receiving a Rotary Mug from Rotary President & Police Capitan Dave Wareham for sharing with the about how her career began growing and selling salad greens to restaurants. Later she expanded to growing wheat, making various breads, pasta, pizza etc. The Bakery can be found on Central Avenue in Fillmore and is open on Wednesday’s and Saturday’s. Photo courtesy Martha Richardson. 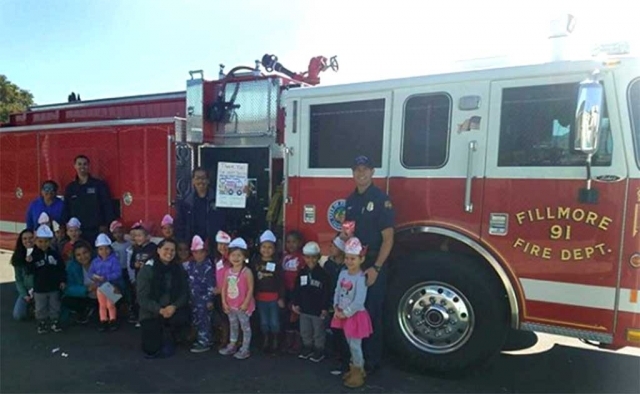 Last week Fillmore Fire Department gave a Safety Demonstration to the students at ABC KIDS Preschool. 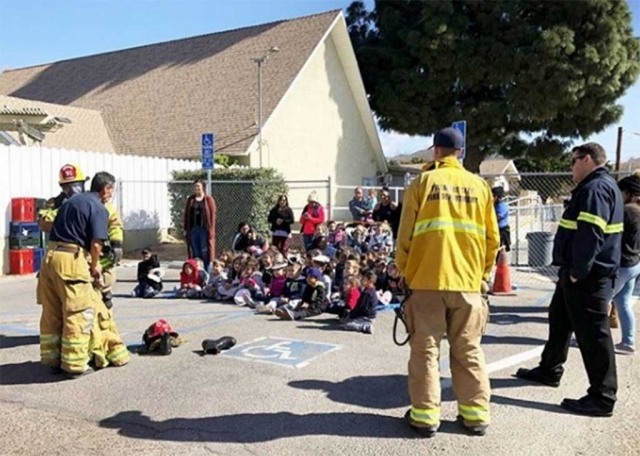 The students and staff sat outside and listened while the fire fighters showed them what equipment they use, the uniforms they wear as well as the importance of fire safety. 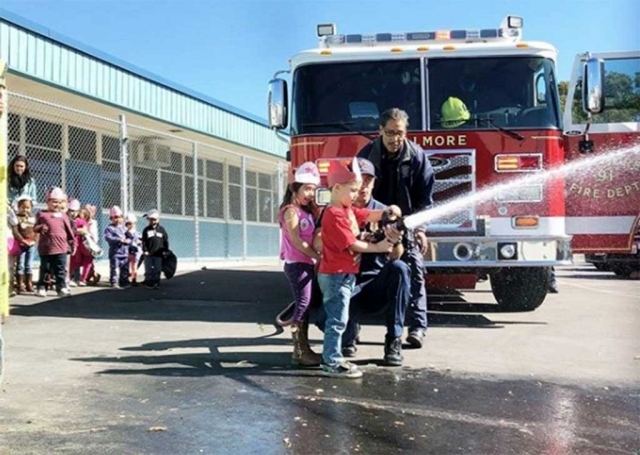 Photos courtesy Fillmore Fire Department. Museum exhibit remembers dam tragedy and ensuing flood. Three minutes before midnight on March 12, 1928, the St. Francis Dam collapsed, sending 12.4 billion gallons of water downstream. The resulting flood killed over 400 people, with 103 still missing to this day. The St. Francis Dam disaster is considered the second largest disaster in California history, in terms of loss of life, and is the largest man-made disaster in the state. The dam was erected in rural San Francisquito Canyon; floodwaters traveled down San Francisquito Canyon to the Santa Clarita Valley, then turned west following the Santa Clara River south of Piru, Fillmore, and Santa Paula, through unincorporated Ventura County, out to the Pacific Ocean. It forever changed the communities in its 54-mile destructive path. In remembrance of the 90th anniversary of the St. Francis Dam Disaster, the California Oil Museum will exhibit “When Dams Fail: Lessons Learned from St. Francis and Other Notable Incidents” from March 3, 2018 through July 8, 2018. This exhibit covers more than a century of time and provides a look into several of America’s dreadful dam disasters, the impact on the lives of those affected, and the lessons learned through investigative research and retrospective evaluations. Understanding the underlying causes for dam failures is a critical component to preventing recurrence and future incidents. Visitors will learn reasons dams fail, including design flaws, operational inefficiencies, and natural or environmental causes, as well as safety measures that have been implemented to reduce the risks to human life, property, and the environment from dam related hazards. A special presentation will be given on Saturday March 3, from 2:00-3:00 pm. Archaeologist Anne Stansell will share her research findings on why the St. Francis Dam disaster has been largely forgotten on a state and national level, but tenuously remembered within the flood-zone. Seating for this special presentation is limited. The California Oil Museum is housed in the original headquarters of the Union Oil Company of California, a beautiful historical building which is listed on the National Register of Historic Places (NPS-86002619.) The Museum is dedicated to enriching the lives of local citizens, county schoolchildren, and visitors from around the world, and encourages each guest to understand the significance of the petroleum industry and its California history, as well as develop an appreciation of the world of science. The California Oil Museum is located at 1001 E. Main Street in Santa Paula. The Museum is open Wednesdays through Sundays from 10:00 AM - 4:00 PM. 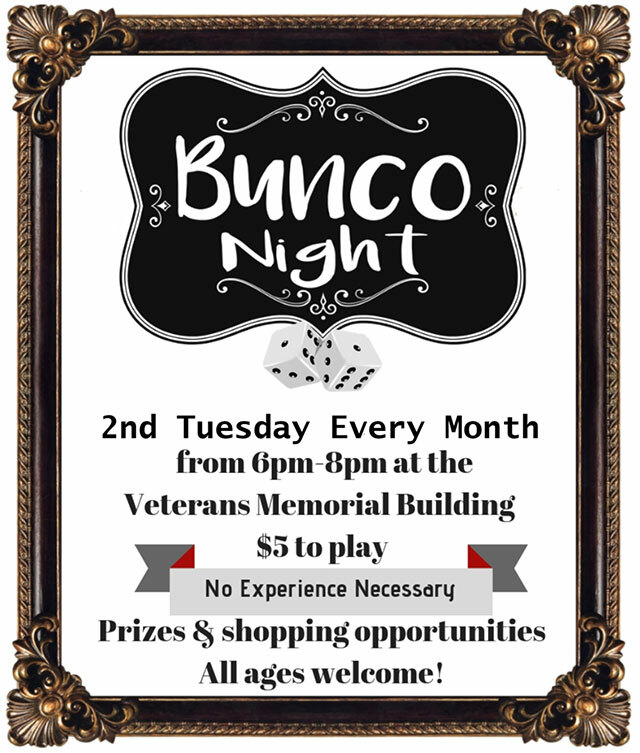 Admittance is free, a suggested donation of $4 is appreciated. Fillmore Chamber of Commerce will be hosting the Fillmore Community Awards Dinner on Friday, March 30th at 5:30pm at the Veteran’s Memorial Building. 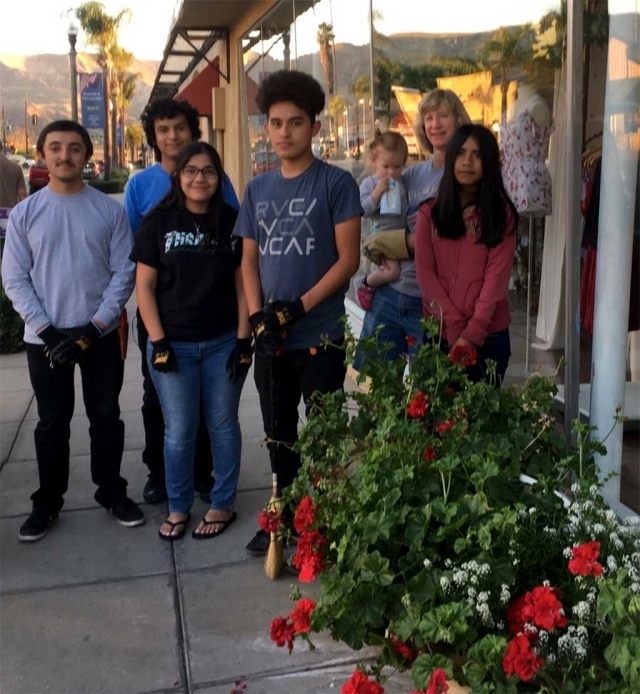 Wednesday, February 7th the Vision 2020, Civic Pride Committee and their volunteers gathered for a photo after a long day of pruning plants all along Central Avenue. Pictured above left to right Javier Sandoval, Adrian Escobar, Joanna Ponce, Jairo Rios, Cindy Klittich and Dori Klittich as they smile after a day of hard work. Photo Courtesy Linda Nunez. 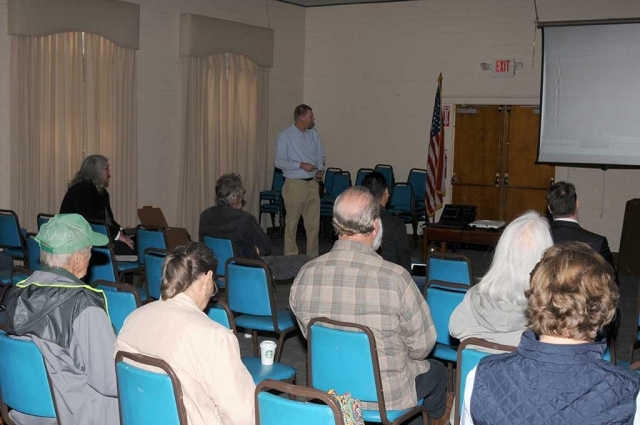 Wednesday, February 7th from 9:00am to 11:00am at the Veteran’s Memorial Building the Fillmore & Piru Water Basins Groundwater Sustainability Agency held a FPBGSA Budget Workshop. Local residents were invited to come and share their thoughts with the Directors of the Agency as well as have their questions or concerns answered. 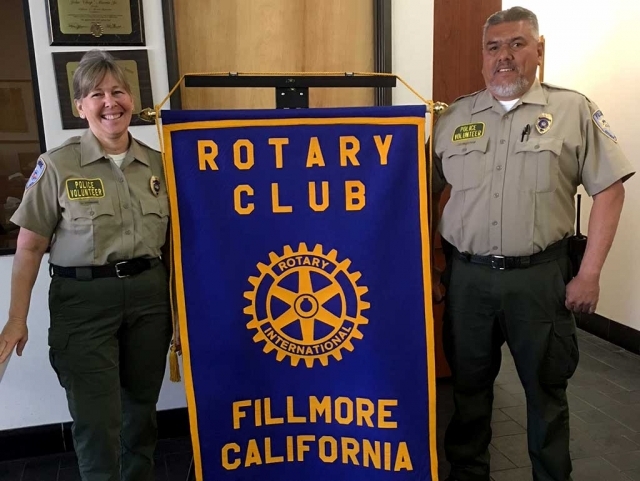 Lisa Hammond and Ray Medrano from the Citizens Patrol gave a presentation last week to Fillmore Rotary Club. They spoke on the main purpose of the Citizens Patrol, which is crime protection by civilian volunteers. 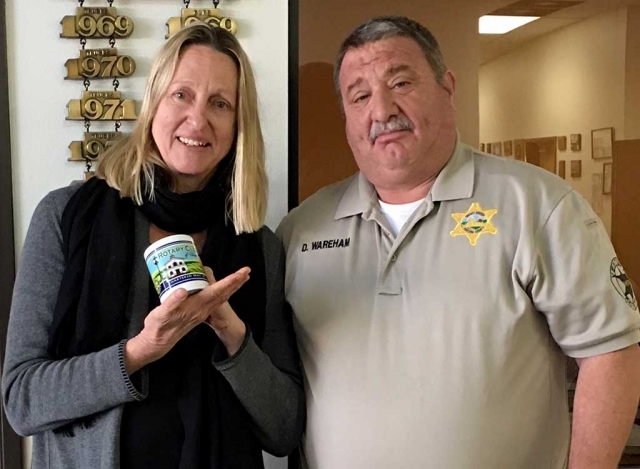 They help the local Sheriff’s Department by being the eyes and ears throughout Fillmore, Piru and Bardsdale. When they are on patrol they report any suspicious activity to the Sherifff’s Dept. They also help work security for local parades, high school proms, and work Bike Rodeo, as well as traffic control. They work a fireworks booth with the Explorers Club so that they can raise money for scholarships. Courtesy Martha Richardson. On Saturday, January 20, Fillmore Christian Academy sent 5 students to the ACSI District Spelling Bee at The Oaks Christian School in Westlake Village. Each of the students had already competed and won in their grade level Spelling Bee at Fillmore Christian Academy. In addition the 1st grade FCA speller, Ralph Avila, won a second place ribbon at the District Spelling Bee in Westlake Village. Congratulations to all of our FCA students!! 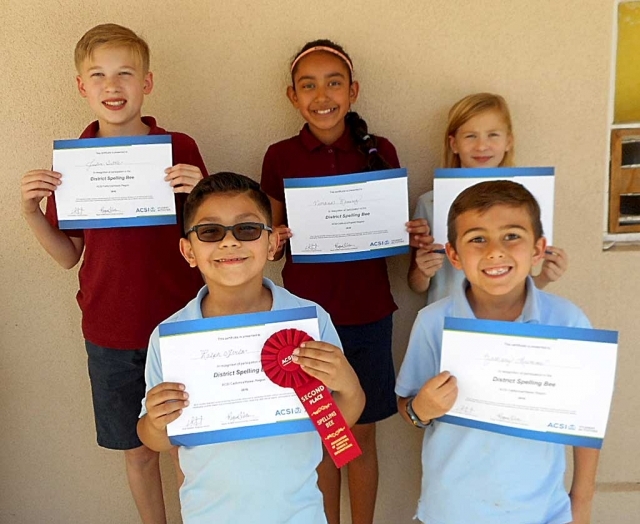 The students representing Fillmore Christian Academy are pictured above Back row (left to right): Justin Tuttle (5th grade), Viviana Ramirez (4th grade), Danica Tuttle (3rd grade), Front row (left to right): Ralph Avila (1st grade), Zachary Mumme (2nd grade). Photo Courtesy Tracy Hackney.